When we pray and from a biblical perspective we can know, that we are under an open sky. 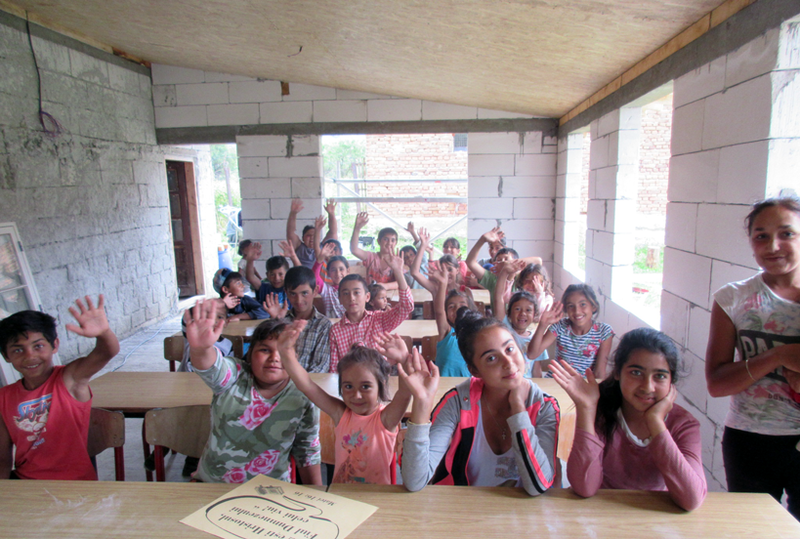 So it was when the children and DBMs team met for the first time in the new house in Schitu-Golesti in the middle of June. 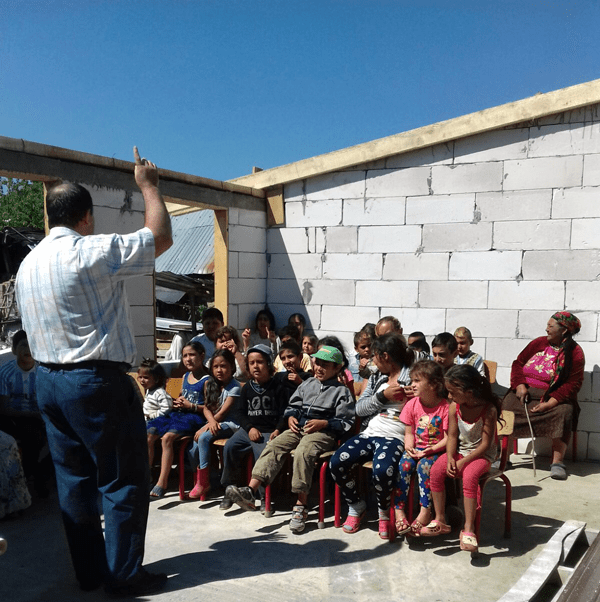 Since the walls were high enough – and the chairs and tables already were there – it was easy to gather in the soon-to-be room for childrens meetings. This is where the meetings in future will take place. For the first lesson, children experienced a uniquely time, IN the building but in open air, and then, the next Saturday, we had the roof on together with tables. Then it was possible to come together again in a shadow (as the sun gets warmer and warmer during the summertime). This was also a reminder of how it is to gather under the wings of Gods grace – covering all sin and guilt. We are thankful, that this building has been built now. We are grateful for the cooperation with the family, whose land we are granted permission to use. Please pray, that this may be a place, where the word of God brings new life to children and adults. Pray that Gods word as seed can do its work in hearts here and romas be turned to faith in Christ Jesus. Mihaita – who was given his eyes!